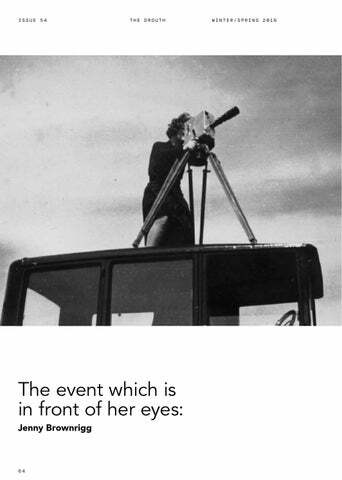 ‘The event which is in front of her eyes’ comes from the following John Berger quote: ‘The photographer chooses the events he photographs. The choice can be thought of as a cultural construction. The space for this construction is, as it were, cleared by his rejection of what he did not choose to photograph. The construction is his reading of the event which is in front of his eyes. It is that reading, often intuitive and very fast, which decides his choice of the instant to be photographed’. For the purposes of this essay, I choose to imagine every ‘he’ of this quotation about a photographer’s choice, reading and gaze, as ‘she’. What did Donaldson, Gilbertson and Shaw see? Did they see their work as a ‘cultural construction’? How did they read the events in front of them? 1930s’ Scottish Highland and Islands life – the documentary photography and film of M.E.M. Donaldson, Jenny Gilbertson and Margaret Fay Shaw. ‘In fact, when I think of it, this independent streak was probably developing the hard way all through my teens. My mother struggling to keep the Victorian idea of total obedience in a daughter.’ Donaldson states a family lack of support, the strongest: ‘As regards to my literary and photographic efforts, they received every discouragement… I had no influence whatever – nor have I yet – to help me along and indeed in this and every other department of my interests… I have had to fight alone with my back to the wall.’4. Unlike contemporaries such as Mary Field [1896–1968] or Evelyn Spice Cherry [1904–1990] who co-produced and collaborated on films for governmental agencies, neither Donaldson, Gilbertson nor Shaw was working within an institutional system. All were independents, either trying to sell individual works (films, photographs or essays for publication in magazines) in the cases of Shaw and Gilbertson, when they could, or making publishing opportunities (Shaw and Donaldson). There is no evidence that the three women knew each other, or each other’s photography or film work, in particular in the 1930s’.5 These are the similarities. This essay will also look at each one’s motivations for making the work that they did; and how they represented the subject in front of their camera. Through comparison of their work and processes to their better known male contemporaries who were also documenting Scottish rural communities, I will frame their work in a wider national and international context of the documentary photography and film making of the inter-war years. ‘... [the film] gets down to the life of the crofters and the fishermen and brings the naturalness out of it… In amateur cinema, the people are always standing and staring and failing to be themselves. In commercial cinema the people might as well be standing and staring for all the reality they demonstrate. Miss Brown has already broken through the curse of artificiality.... I think the best thing she did was to go straight to the crofters and live with them.” Grierson also recognised that her decision to spend real time in the crofting community in order to capture a more realistic and detailed picture of everyday life: “She lived with them round the seasons for a year, on the unique assumption that the dramatic unity of a crofter’s life could not conceivably be the period of a six weeks’ summer holiday... You have to belong if you are to catch the details of the daily round which make up the drama of people’s existence”. On seeing it, John Grierson went on to encourage her to make a film with a narrative. ‘The Rugged Island – A Shetland Lyric’ (1932), follows the story of a courting couple in a dilemma as to whether they will carry on in the croft or emigrate. Gilbertson for this film worked with the Shetland crofters she knew, her husband-to-be Johnny Gilbertson and the Clarks who she had lodged with. Grierson went on to buy five of Gilbertson’s shorter documentary films for the G.P.O Unit. These films, ‘Da Maakin o a Keshie’ (1932, 5 mins), Sheep’s Clothing (1932, 10 minutes), ‘A Cattle Sale’ (1932, 3 mins), ‘Shetland Croft Life [Peat from hillside to home]’ (1932, 6 mins) and ‘Seabirds in the Shetland Isles’ (1932, 9 mins) were all edited from footage Gilbertson had taken from her first film. For ‘Seabirds in the Shetland Isles’, Gilbertson camped alone with a tent and provisions on the uninhabited Isle of Stennis, to capture footage of bird species, including eggs hatching. In the latter part of the 1930s’ a series of other short films, edited and produced by Cuthbert Cayley were also made from off-cuts from her first film. Gilbertson’s motivation was primarily for her films to be educational. She made lectures and talks with her films, touring from the early 1930s’ until the end of her life. As well as touring the work through lectures in Scotland and UK, Gilbertson also in 1934 forged her Canadian network, through her first lecture series hosted by National Council of Education in the winter of 1934-5, taking the lecture to ‘...Montreal, Ottowa, Toronto, Winnipeg, Edmunton, Calgary and Vancouver, showing ‘Seabirds’ and ‘A Crofter’s Life in Shetland’, in public halls, to Universities and to schools’ . Interestingly, in reflection of this tour, Gilbertson in later life noted that the invitation occurred due to the migration of many Scots to Canada, giving an appetite for films about Scotland: ‘The previous year’s lectures had been advertised as being about some aspects of Britain and Italy. Many Scots in Canada protested because Britain had been represented only by England, so for the following year the Organising Secretary was looking for someone with a lecture on some aspects of Scottish Life’. Margaret Fay Shaw A trained musician, Shaw’s primary motivation to move from New York to South Uist in 1929 was to transcribe Gaelic songs at their source. She had spent periods in Scotland as a teenager and in her early twenties . In her own words, she ‘... chose South Uist, as the island least visited by strangers and where there would be an opportunity to live amongst a friendly and unprejudiced people not self-conscious of their unique heritage.’ . Early on after her arrival on South Uist, she heard Màiri MacRae, who had been brought in from the kitchen to sing to company at Boisdale House. She was invited by Màiri to learn the song by visiting her at home in Glendale. On making the journey to the croft, which was two miles from any road and easier accessed by boat, Shaw asked if she could lodge there with Màiri, her son Donald and her sister Peigi. Over the next six years, Shaw transcribed the MacRae’s songs and those of their neighbours, further learning Gaelic over this period too. Michael Russell in his book ‘A Different Country: The Photographs of Werner Kissling’ attributes Shaw’s knowledge of Gaelic – ‘almost unique[ly] amongst photographers who worked in the Hebrides’ – as a way ‘to penetrate Hebridean culture more thoroughly and to get closer to the rhythms of place’. Whereas Paul Strand was later to take single photographic portraits of South Uist islanders over three months in the summer of 1954, Shaw over her six years there, focussed on this single community and recorded it in detail. This rich material would be published in 1955 in her significant work ‘Folksongs and Folklore of South Uist’. She also during this period made trips to St Kilda, the Aran Islands and Mingulay, all of which she photographed. Her essay ‘Hunting Folk Songs in the Hebrides’ was published in National Geographic Magazine, whilst ‘St Kilda and the Last Summer’ was printing in Scots Magazine in 1980. Following meeting the folklorist John Lorne Campbell [1906–1996] at Lochboisdale Hotel, they married and she moved to Barra where he lived, in 1935, and then to Canna House on the Scottish island of Canna by the end of the decade, where their home and archive is still maintained by National Trust for Scotland. Shaw, like Gilbertson, also had a connection with Canada, through her and her husband’s networks of music and Gaelic, in particular with Nova Scotia. Shaw also took film of South Uist and Barra with her cine camera, but it remained unedited by her, to be shown to those in the South Uist community and her networks. Bonus, other friends and the ghillies and guides who accompanied her on many of her walks. Donaldson out of the three women, covers the widest range of Scottish landscapes and locations. Island locations include Eigg, Skye, Oransay, Colonsay, Islay, Jura and Iona. From the Highlands there are photographs of Kintyre, Kintail, Wester Ross, Appin, Arisaig, Glen Affric, Lochaline, Loch Linnhe, Ballachuilish, Kingussie, Glen Affric, Roy Bridge, Knapdale, Morvern, down into the Trossachs. Her work is held by two archives, Inverness Museum and Art Gallery, who hold her landscape photography and the National Library of Scotland who holds her portraiture photographs. Donaldson’s landscape photography mirrors author Nan Shepherd’s [1893–1981] writing, where the experience of the landscape is a physical and psychological journey ‘into’ (in Shepherd’s case, the Cairngorms) rather than merely a simple passage over. Donaldson’s landscapes are not composed as passive views to be looked at; they are to be journeyed into. The photographs circle lochans, dip into glens and cross plateaus. In particular ‘In Glen Carrich’ has a sequence of photographs that show the terrain unfolding. The eye traces the route in front of the camera, spotting the gap in the stones in the foreground, cutting round the corner of a rocky mound, tracking left around the hill with the three trees to the hidden landscape beyond. In others, a device such as a meandering burn, an intermittent path or rough track takes you further into the photograph. Donaldson wrote: ‘Certainly to a lover of the wild, the monotony of a level stretch of high road, with its dull, even surface, doubles the distance, while the interest of a constantly varied and often ill-defined track, full of surprises and with a marked individuality, seems actually to halve the distance.’ Donaldson’s portraits also express the figure’s relationship to their surroundings, whether photographs of villagers, or those she employed to accompany her over the terrain of the highlands. Rather than the staged photographs of Walter Blaikie [1847–1928], where he asked Hebridean islanders to re-perform a certain task to camera, Donaldson frames the subjects with her photographs really as part of their surroundings. Whether they either have a long way to go or want to get as close as they can to the landscape, both categories really inhabit the land. In one example, there is a profile view of a seaweed gatherer, bent double with the weight of the load he carries in a basket on his back. A second image from the sequence shows his figure in the middle distance. He is on the beach, framed by rocks in the foreground, and showing the contours of the island of Rum behind. By reducing the scale of the figure, the viewer can see how far he must walk, and therefore the physicality and difficulty of his labour. Another photograph shows the ghillie John Mackenzie, lying horizontal on rocks, to drink from the Red Burn. The informality of this photograph, as he lies like Narcissus, is again in contrast to the norm in Victorian photography of people formally seated or standing. This interconnectedness between people and place can also be seen in Gilbertson’s work. Her editing and inter-titles consistently make the connection, for example, ‘Out of the sea comes the crofter’s dinner’, shows men line-fishing for flounders in ‘A Crofter’s Life on Shetland’ (1931). For Donaldson, the photographs, in particular her landscape photography, were linked to the walks themselves, and her need to engage her mind and body in this task. Also, highly religious, Donaldson viewed her walks into the landscape as a way to commune with her Creator. The sharpness in focus of Donaldson’s photographs, which she processed herself, encourages a level of active looking. From her photographs in the Cuillins, the lines of the ravines on the flanks of the mountains in the background are as precise as the sheen of the wet stones of the plateau that gently coruscate in the foreground. Nan Shepherd describes a changing the focus of the eye, and the ego, to see the landscape anew: ‘As I watch, it arches its back and each layer of landscape bristles… Details are no longer part of a grouping of a picture around which I am the focal point, the focal point is everywhere… This is how the earth must see itself.’22 Donaldson’s photographs of landscape also encapsulate this shift of the ego from the person to land. Perhaps out of the three women, her work most represents an ‘embodied’ knowledge, which arises through the physical experience of the terrain. throughout her filmmaking career – to tell an authentic story about rural communities. Gilbertson wished to give a picture of Shetlanders that was informed rather than sweeping. Her films fairly represented those who lived there, showing people and location carefully, rather than create a hackneyed or romantic view of the enchantment of island life. Whilst a number of other films of the period such as Werner Kissling’s ‘Eriskay – a Poem of Remote Lives’ (1935) re-iterate remoteness, with its voiceover and titles calling these ‘isles of enchantment’ and ‘distant’, Gilbertson deftly widens the range of her film. Rather than focusing purely on crofting life, cutting it loose from modern time as the sole subject of a film, she places its scenes of farming and everyday life and labour alongside sequences of a more fashionable life in Shetland’s capital Lerwick. The film shows cars trying to navigate the tight corners of narrow streets and a flapper in a leather coat walking down the main street. to Shetland one summer to gut fish: ‘Shetland to Peigi was beautiful, green, green and no heather!’26. As well as noting the difference in terrain, Peigi notes the difference of carrying creels: ‘The Shetland women were very nice, going home with a creel of peats on their back held with a strap across their forehead and always knitting, knitting as they walked about.’ In ‘A Crofter’s Life on Shetland’ (1931), the women are shown taking turns to wash each other down from fish scales at the end of the day. This practice is also described in Peigi MacRae’s biography notes: ‘When finished she would stand in a tub with her oilskins and boots and the others would rinse her off with salt water to be clean for the next day and she would have to do that for the other ones’. s It is lovely to note that whilst there is no evidence that Shaw visited Shetland, Peigi MacRae did. For example, ‘Óran Fogarraich – An Exile’s Song’: For Margaret Fay Shaw, her aim of her ‘The tune, chorus and first verse from Miss Peigi photography was to capture the authenticity MacRae, the second and third verses from Angus and source that this community represented. John Campbell.’ Shaw records for most songs The ‘source’ is the singer, the landscape, language, stories and lives. Martin Padget in his how the singer learnt the song: ‘Miss Macrae book ‘Photographers of the Western Isles’27 notes learnt the song from Miss Catriona MacIntosh while employed at Boisdale House when a young Shaw’s quest for authenticity, referencing the first occasion Shaw heard a Gaelic song, sung by girl’. The excellent online resource ‘Tobar an Marjory Kennedy-Fraser (1857–1930) and wishDualchais’ contains original recordings of songs sung by Màiri MacRae and Peigi MacRae, that ing that she could hear the song in its raw state were recorded at a later date by Campbell and sung by the original island singers. Magdalena Shaw when recording equipment was available. Sagarzazu, retired Canna House Archivist and It also contains an extract of a song ‘Oran a’ Shaw’s ‘amanuensis’ believes that the photoChutaidh’, sung by Donald MacRae, about graphs cannot be viewed alone without relating a dog. them to music and culture; they sit holistically within a wider context. This is borne out through Shaw learnt Gaelic in order to be able to Shaw’s pencil notations of the songs, held as part transcribe song at its source. Donaldson of the Canna House archive, as well as the final only picked up some Gaelic at a later stage. transcriptions in Shaw’s ‘Folksongs and Folklore Gilbertson’s notes and diaries suggest that she of South Uist’ where tune, words and sometimes had a good understanding of the Shetland dialect, composition are attributed to those who appear notating any dialogue she has with Shetlanders’ in her photographs from the Glendale community. in their own tongue. Representation of Highlanders and Islanders Brian Winston, in ‘The Documentary Film Book’ refers to the ethics of the relationship between subject and object, and the representation of the ‘native’ as ‘Griersonian victim documentary’ . In particular he coins this phrase, citing the subjects as often not giving their permission, nor understanding what their contribution was or what would occur from the exposure of their lives to a wider audience. Gilbertson, Shaw and Donaldson’s approaches would suggest they worked in an alternative way to this approach. Gilbertson records her methods of asking for permissions in her diary. Often word of mouth has reached crofts before she does, on what she is doing. and was buried alongside them in South Uist. The Archives at Canna House also hold Shaw’s biographical notes on Peigi MacRae. Wider Context Nationally Gilbertson, Shaw and Donaldson were not alone in this interest of everyday life and the rural working class. They were also not alone in being privileged middle class making work about the working class. Regarding film-making, the British Documentary Movement, led by John Grierson was at the forefront establishing the G.P.O. Library of documentary films ‘recording real life and real people’. Grierson’s film ‘The Drifters’ (1929) was partially filmed in Shetland. Grierson also advised the Films of Scotland committee, formed in order to deliver seven films about different aspects of the national identity, to be presented at the 1938 Empire exhibition in Glasgow. In Scotland, in terms of photography, leading up to and including the period of 1930s’, Werner Kissling (1895–1968) captured the traditional customs and ways of working of communities in particular the crofters of Eriskay and South Uist. Robert Moyes Adam, a scientist from Edinburgh, photographed the islands of Harris and Scarp in the 1930s, leading on from his work on Barra and Mingulay. Earlier photographers such as Cherry Kearton (1871–1940) and Richard Kearton incl uded the Hebrides and St Kilda in their work; whilst Richard Adamson and David Octavius Hill took the earliest plates in 1845 of fishermen’s wives and their families in Newhaven. Shaw’s nemesis , Alasdair Alpin MacGregor [1899-1970] was writing and photographing in the Hebrides in the 1930s’ and’40s too. In terms of women photographers, Margaret Watkins [1884–1969] focused on scenes of industrial Glasgow in the 1930s’ and advertising photography. An earlier photographer Isabella Bird [1831–1904] made trips to the Hebrides and wrote several articles for Quarterly Review about the plight of the crofters. Internationally The Worker-Photography movement in the 1920s and 30s’ had been established in Germany and the USSR and then spread to Europe as a call to amateur and worker photographers to record everyday life and the conditions that people were working in. This was a Communist-affiliated movement and the antithesis of the agenda of the British Documentary Movement. Whilst the Worker-Photography Movement was backed by a ‘system of alternative media networks such as the one established by Willi Munzenberg, whose weekly Arbeiter-Illustrierete Zeitung (Workers’ Illustrated News) was at its peak, the secondmost-read periodical in Germany’ , Grierson’s British Documentary Movement was more the norm. Backed by conglomerates and government, the disseminated images of labour were keenly linked to government message and economics. Footnotes 1 P.92, ‘Another Way of Telling’, BERGER, J. MOHR, J (1982) Writers and Readers Publishing Co-operative Society Ltd. 2 Jenny Gilbertson was born in Glasgow to Mary Dunn Brown (1972-1957) and William Brown (1868-1952), the latter, an iron and steel merchant in Glasgow. Margaret Fay Shaw had an ancestral connection to Scotland through emigration. Her forbearer, her great-great grandfather John Shaw had left Scotland for Philadelphia in 1792. MEM Donaldson was born in England and brought up in Surrey. Like Shaw, Donaldson also a Scottish ancestral connection. 3 GILBERTSON, J. Autobiography draft, Chapter 1 ‘The Growing Years’, (Box 11, Shetland Museum & Archives) 4 Letter from MEM Donaldson to Marion Lochhead, dated ‘Saint Columba’s Day 1929’. Acc. 12251/49, National Library of Scotland 5 Whilst there is no evidence the three women knew each other in the 1930s’ , Compton Mackenzie, a friend of Shaw and her husband John Lorne Campbell’s, satirized MEM Donaldson in his 1940 book ‘Hunting the Fairies’. He re-casts Donaldson as a male poet, living with his sister at ‘The house of two hearts’. Donaldson lived with a female companion Isabel Bonus. The architecture of the poet’s home in ‘Hunting the fairies’ matches that of Donaldson’s unique home and building project at Sanna Bheag, where she incorporated the black house design into a modern low-rise complete with photography studio. It would not be too much to claim, that given the subject matter of the book and Mackenzie being a close friend of Shaw’s husband, that she would have read the book and understood the characters. 6 Gilbertson CV notes (Box 3, Shetland Museum & Archives). 7 Gilbertson, Autobiography notes (Box 3, Shetland Museum & Archives). 8 Ibid. 9 Typescript by John Grierson, accompanying letter dated 10/2/32 to Jenny Gilbertson (Box 5, Shetland Museum & Archives). 10 Ibid. 11 Ibid. 12 GILBERTSON, J. ‘Notes for talks with films’ (Box 3, Shetland Museum & Archives). 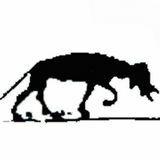 13 Letter to the editor, The Leopard, Aberdeen 22.4.1982, Box 1, Shetland Museum & Archives. 14 Letter dated 19 Jan 1989, from Jenny Gilbertson to Mr. Shackell (Box 4, Shetland Museum & Archives) 15 Ibid. 16 Following the death of her parents, Margaret Fay Shaw went to boarding school at St Brides School in Helensburgh in 1921. Later, she went on a summer cycling tour of the Highlands and Islands with two friends, which included cycling through Glencoe, Skye and the Outer Hebrides. 17 P.10, ‘The Outer Hebrides: Margaret Fay Shaw’, SHAW, M.F. Undated. Typescript held at the National Trust for Scotland Canna House. (CH1/1/2) 18 P.32, ‘A Different Country: The Photographs of Werner Kissling’, RUSSELL, M. (2002), Birlinn Ltd. 19 P.3, SHAW, M.F. ‘Folksongs and Folklore of South Uist’, 2nd Ed. (2005), Birlinn Ltd. 20 P.21, ‘The Outer Hebrides: Margaret Fay Shaw’, SHAW, M.F. Undated. Typescript held at the National Trust for Scotland Canna House. (CH1/1/2) 21 P.142, ‘Wanderings of the Western Isles’, DONALDSON, M.E.M. (1921) Alexander Gardner, Paisley. 38 P.14, Ibid. 39 www.screenonline.org.uk 40 GILBERTSON, J. CV notes (Box 3, Shetland Museum & Archives) 41 GILBERTSON, J. Autobiographical notes (Box 3, Shetland Museum & Archives) 42 ‘My Heart Beat for the Wilderness’: Isobel Wylie Hutchison, Jenny Gilbertson, Margaret Tait, and other TwentiethCentury Scottish Film-makers’, NEELY, S. (2014). In: MacKenzie S, Westerstahl Stenport A (ed.). Films on Ice: Cinema of the Arctic. Traditions in World Cinema, Edinburgh: Edinburgh University Press, pp. 299-309 43 GILBERTSON, J, Autobiography draft, begun 21.5.1987, Chapter 1: ‘The Growing Up Years’. (Box 11, Shetland Archives & Museum). 44 GILBERTSON, J. Shetland Diary Jan-Jul 1931. (ref 4/6/10, Moving Image Archive, National Library for Scotland). SHAW, M.F. diary, Fri 30 May 1931 National Trust for Scotland Canna House (CHMFS/1/4/1/4) 46 P.259, ‘Wanderings of the Western Isles’, DONALDSON, M.E.M. (1921) Alexander Gardner, Paisley.